This is a crucial point worth reflecting on, and might stand in contrast to the ‘day job’ experience where we might operate differently, always in quick solution mode and not necessarily listening in the same way. It brings out that element of deliberation and decision-making (trustee activities) versus execution and doing (more like the day job). 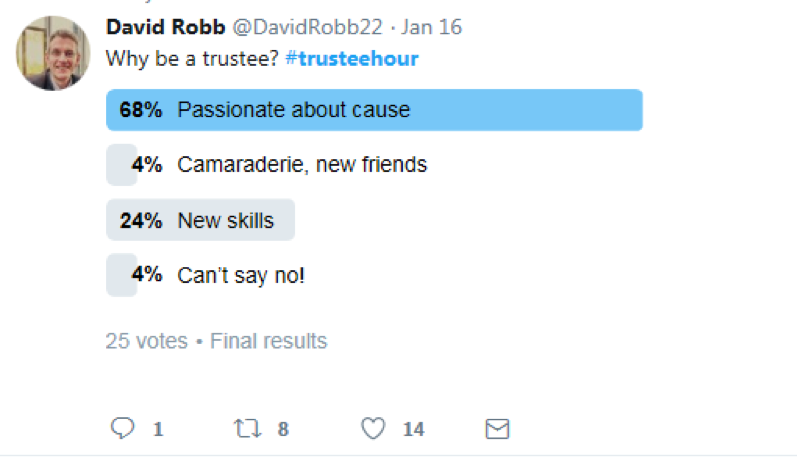 And to round things off, this poll was posted by @DavidRobb22 asking ‘Why be a trustee’? 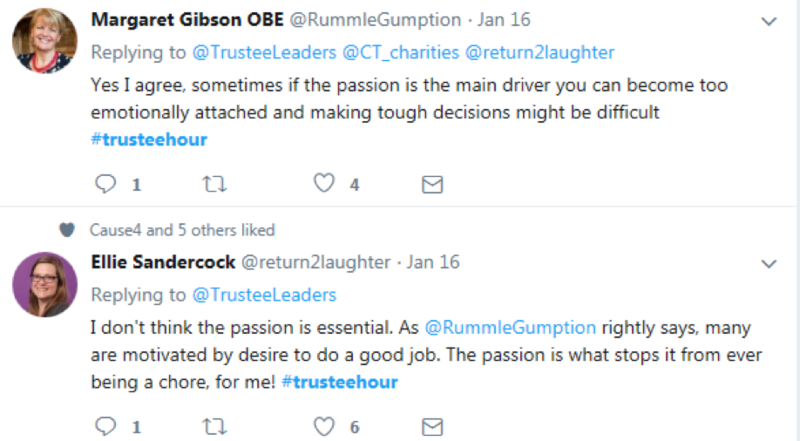 If we think about recruiting new trustees, what we can take from this #trusteehour is that there are a range of messages which charities might want to consider, in attracting new board members. There are different drivers, and caring about the cause, being interested in learning new skills, meeting new people, and having a positive impact in your community may all matter, as well as other aspects. 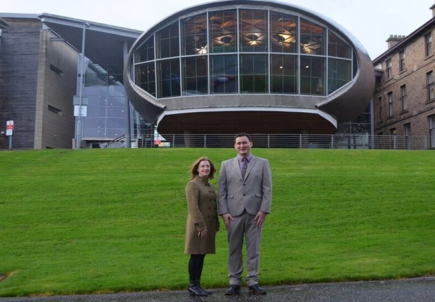 If too much emphasis is placed on trustee duties and responsibilities, and less on these other positive elements which many people feel they get out of the trustee experience, is there an opportunity to re-consider how trustee role vacancies are advertised? And finally, news of our next #trusteehour on Wednesday 21 February 8-9pm – we might see you in Glasgow!